I spent a couple of days in the fall shooting a Best of the World feature for National Geographic Traveler in Tulsa, Oklahoma. I was asked to focus on The Brady District, and was given a list of places that were going to be mentioned in the article including the beautiful Mayo Hotel. I really enjoy traveling and shooting, though there’s a lot packed into each day. I tried to make as many arrangements as possible before my arrival, but it seems like no matter how much planning you do things are still up in the air. When I arrived, it was raining and continued through my first day of shooing. I’ve decided the weather channel app is useless. I watched the app for a week and the first mention of rain was on the morning I was driving to the assignment. I think the rain had a negative effect on the amount of people visiting the district, but it sure helped out when I shot outside Cain’s Ballroom later that evening adding a nice reflection of color on the street. The Mayo Hotel was beautiful and I especially enjoyed shooting from the rooftop. 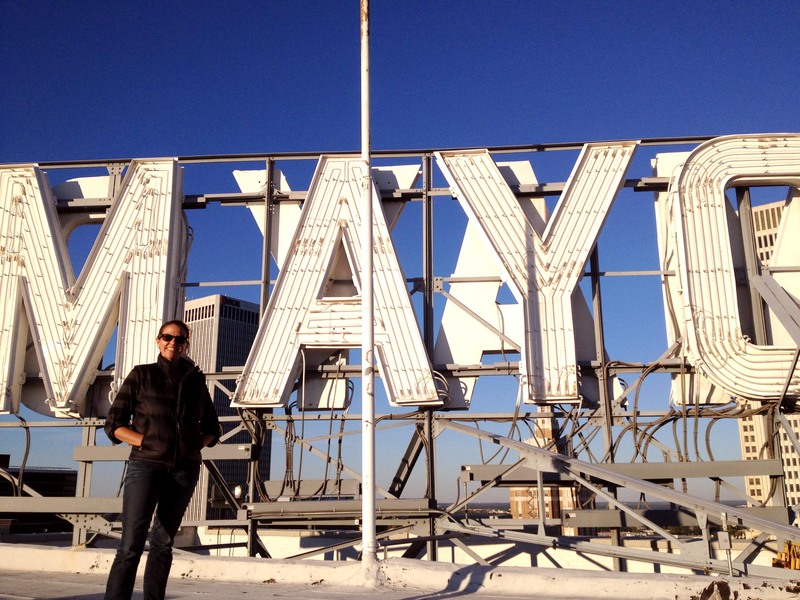 I even had a minute to have a photo taken by the historic hotel’s neon sign. I photographed several other places including The Philbrook Downtown, Hey Mambo, The Guthrie Green, Tulsa Glassblowing School and various street scenes in the Brady District. Lots and lots of shooting for one image.